Writing a book is just the start, once you have then figured out how to actually publish it you still need to find someone willing to read your book and then get them to buy it. But how do you find readers? What are the important parts of book marketing, and what’s a waste of time? Should you be promoting your book on social media (probably), or should you be buying print advertising (probably not)? It’s hard to know where to start so we’ve compiled this useful list of the best articles published on Standoutbooks.com that will help you when it comes to marketing your book. 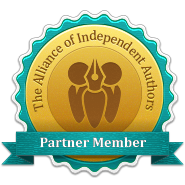 Feel free to bookmark this page, share it with any authors who could use the help. Whatever you do, don’t just sit around doing nothing, take action as this is the single best way that you will succeed. The basics of book marketing are actually quite straightforward. You need to have a good marketing plan and you need to start now. It doesn’t matter at what stage you are in your publishing project, it is never too early to start building your platform and thinking about how you can reach your readers. Read extensively and work through the following articles before you get started. Once you have got a good marketing strategy in place you can start to think about how to use specific strategies to reach your readers. Got no response from your press release? Read this. Your platform is the single most important element that will define the success of your book promotion strategy. Whatever you do, you need a basic website and you need an email list. Social media is also important but not as important as the first two. Which is the best email marketing provider for authors? Social media gives you an amazing opportunity to foster a personal relationship with your readers. On top of that, having a large and responsive social media following gives you great social proof which will help convince new readers to try your writing. If you’re looking for a traditional deal then having a million active social media followers will go a long way to convincing a publisher to sign you up.